Late in her twentieth year, Beatrice mails a letter on the fly, sparking events that will change her life forever. The addressee is her grandmother, a legendary stage actress long estranged from her daughter, Bea's mother. Though Bea wants to become an actress herself, it is the desire to understand the old family rift that drives her to work her way into her grandmother's graces. But just as she establishes a precarious foothold in her grandmother's world, Bea's elite Boston home life begins to crumble. Her beloved father is accused of sexual harassment by one of his graduate students; her usually serene, self-certain mother shows signs of fallibility. And Bea is falling in love with someone many would consider inappropriate. 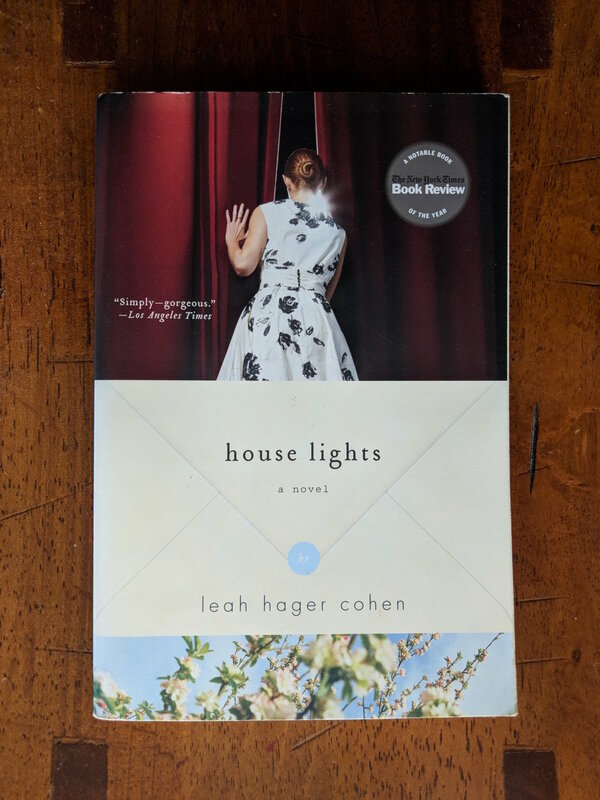 Powerfully written and psychologically complex, House Lights illuminates the corrosive power of family secrets, and the redemptive struggle to find truth, forgiveness, and love. Intelligent and searching...artfully constructed. By virtue of their length, novels forgive undisciplined descriptive flights, but Cohen writes with the scrupulousness of someone fashioning a short story, in which even the smallest details must bear their weight of significance. Simply - gorgeous. It's rare to find a novel that so elevates itself in the end, that achieves an emotional resolution without a contrived tidiness and with a narrative power that seems inevitable but not predictable...By novel's end, Cohen has given us a very real story that honors…our own flawed need to love.